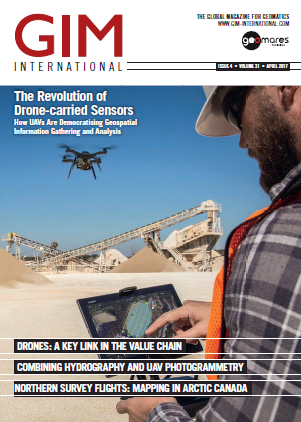 Page 14: The Revolution of Drone-carried Sensors. GIM International decided to touch base with a company that serves as a good example of the current transformation, and spoke to Chris Anderson, CEO, and Daniel McKinnon, vice president, from 3D Robotics. This article provides insight into how unmanned aerial systems were used in a preliminary engineering survey of both sites. The project achieved an accuracy of less than 10cm, despite the challenges including GNSS signal interference and difficult, rocky, rugged terrain. This article provides insights into the surveying process of a lake mapping project including the methods used to create a 3D model for the generation of a precise map with elevation lines. 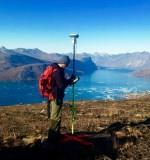 UAVs have become an essential tool for land surveyors. The geospatial industry is turning to drones to map the environment, which is also impacting the commercial UAV business. GIM International interviewed Michael de Lagarde, CEO of Delair-Tech.